It has been quite a year for me here in Tokyo. The year started off pretty boring but got terrifying very quickly. Things settled down of course and now things are pretty much back to normal. I managed to make many new friends and got out of Japan twice. Unfortunately I didn’t return home for a year but the adventures I did have will last me a lifetime. 2011 has been the year “everything changed” as the catch phrase goes. I wouldn’t say everything has changed, but a lot has and will continue to change for years to come. There is always change in life and I feel that this past year was not that different than past years, in terms of the total amount of change. The real aftermath: I never touched anything. Just took a quick pic. The year was pretty standard for me. The start was filled mostly with work. I was working hard as I had a personal project that I would be working on starting in late spring 2011. I decided that working almost to my death was necessary to build up my savings. I went out from time to time but spent most of my time just ploughing away at work. By March, things were going smoothly until the 11th when the earth shook. I can look back at the post I made immediately after the 11th when the Great East Japan Earthquake occurred and I can tell that I was scared deep within my mind. It wasn’t something I wanted to admit to myself at the time but it was probably true. Even now I try to think that I wasn’t scared, but it was a point where I nearly had a nervous breakdown. For nearly a month after the 11th, I heard nothing but people being concerned with my safety as well as people telling me things about radiation. While the concern was always nice, the information on the radiation was not. There comes a time when you choose your home and very little information will make you change it. It was difficult and frightening to read a lot of the information but necessary as I had my own confirmation bias that things would be okay. 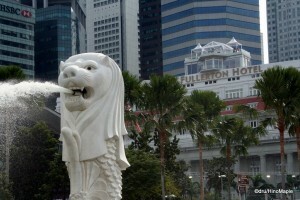 Merlion with the Fullerton Hotel in the back. 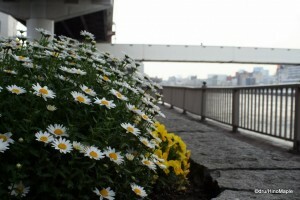 Once the drama of the earthquake, tsunami, and nuclear disaster had subsided, things started to return to normal. Life never did return to normal, like before, but things were a lot better. I started to plan my trips better and my personal project was delayed by just a month. The summer months were filled with work and a little travel. I visited Taipei for the first time in my life, as well as Singapore. 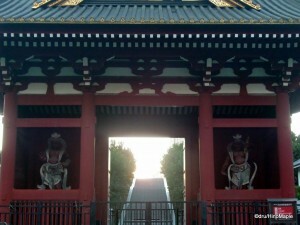 I was able to see various areas of Tokyo that I never would have visited before as well. 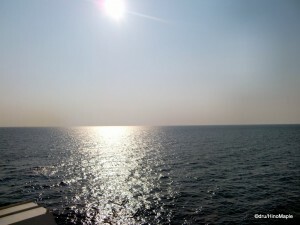 The summer was hot and humid as always but thankfully not too bad. There was a lot of energy saving measures everywhere as Japan didn’t have the energy capacity at the time but now that it is winter, the energy supply is looking adequate for Tokyo’s demands. It was a very difficult adjustment for most people but being me, it was nothing more than a quick change in my personal lifestyle to cope with the higher indoor temperatures and lack of light. The biggest change for me, other than the earthquake, was my dog Sox. I had gotten him in December 2010 and it was my first full year with him. It took a bit of time for him to get used to living in my apartment and the earthquake followed by a trip to Kobe wasn’t helpful either. He is such a cute and fun dog and now life has settled very well. He is used to my place and he feels very much at home. He even sleeps in my bed now, although I’m not always happy he does so. My previous lifestyle of travelling at least once a season has ended though so it will be difficult for me to keep writing posts in the future. Hopefully I’ll find more things to talk about in the future but it looks likely that I will have to write more about life in Tokyo rather than the various places I would love to visit. I will write about them when I do go there but unfortunately it might not be as often as before. In terms of statistics, this blog has grown a lot. Aside from June, I have averaged over 1,000 hits a month with the busiest month being March (1,455). This is probably due to the earthquake and people reading a bit about it, but October (1,432) was also a big month. In terms of busiest days, November 3rd saw the most hits ever with 123. My blog has opened a few interesting doors as a few news personalities in the US did contact me for interviews about the disaster in March, or to ask if I knew anyone up there, but I was not qualified to talk about it nor did I know anyone up there. Tokyo was far from a disaster zone and I didn’t know anyone up there. In even better news, I had two pictures published. One was for my dog. I had a picture of my dog published in a dog calendar for 2012. It was a very small picture and one of nearly 365 pictures. 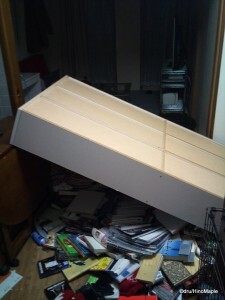 He occupied a small slot in June for just one day, but it is better than nothing. Having my picture published in Mollie Makes was even bigger for me. It is a new crafts magazine in the UK and I was extremely flattered that they wanted to use my picture, although it was just a small one and one of many used on the page. Still, I’m happy to see things getting better after a few years of this blog. This coming year should be exciting. Last year at this time I mentioned that I was finally putting a little money into this blog and my site. Things have changed a lot but all of it has been behind the scenes. I have been working with a partner on a huge project that has taken a lot of my free time and a bit of my work life too. I hope to have something to announce by spring. I mentioned that I would have a new website last year, but unfortunately that hasn’t happened yet. It is still in the works but as things go, they crawl to a finish at times. Hopefully it will be complete very soon and the big project is released on time. It is a big challenge to do things by a deadline but that is what must be done. The year is ending but that doesn’t mean things will end. Things evolve and so have I. I can only hope it all works out. 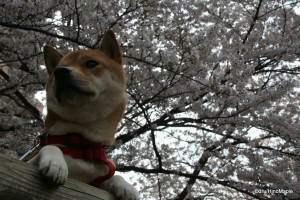 This entry was posted in Dru's Life and tagged 2011, Dog, dru, Dru Misadventures, Dru's Misadventures, Great East Japan Earthquake, japan, Japan Earthquake, Kobe, March 2011, Misadventure, Shiba, Shiba-inu, Shiba-ken, Singapore, Sox, Tohoku Earthquake, tokyo, Year in Review by Dru. Bookmark the permalink. All the best for 2012! Hope it will be a great one.